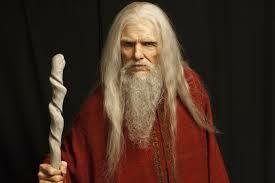 “I am Merlin, Master of change, transformation and transmutation. I am here to congratulate you all, for you have all transformed and you are all transmuters of that which no longer serves, and in so doing you serve the World – you all know where the World is headed! “There are legends – well, you call them legends – of other times on Planet Earth. I represent one called Camelot. In truth, ‘Merlin’ is a title. The head Druid was called Merlin. I am Druid, and as Druid I was a high representative of the priestesses and priests, most particularly of Avalon. Avalon was respected in my day as a place of great wisdom and magic. The magic was really the connections that all druid priests and priestesses were born into. You were recognized as being adept. “And what was the connection? It was with the Mother, the Earth, with nature, with all of the beings of nature. Some of that wisdom has survived, and some of it is coming back, as are all of the great wisdoms from all of the tribes, the families, and yes, the priests and the priestesses who were in charge of spiritual life upon Planet Earth. “That is why so many of you are waking up! You go outside and you greet nature. You take off your shoes and find a patch of grass and feel an energy you may not have felt before, even though you might have had that experience before, and that is because nature is closer for you. “You have heard that Avalon disappeared into the mists. Avalon was Higher Dimensional. Camelot faded because the humans were not ready to occupy that high, high space that was the spirit of Camelot. It ended in a war, a battle. There was much more for humans to experience. Avalon simply went to the other side of the veil. It was accessible for a time, but it could not continue to be accessible to warring 3D humans. “Make no mistake, the Druids themselves were fierce warriors when they needed to defend. They did not attack. Many, many, many were lost in these battles. What remained of Avalon went higher, into the mists, or into the Higher Dimensions. It no longer had an existence in what you call 3D. “Avalon is there for you, Camelot shines again in higher dimensions; that is, the spirit of Camelot! No, you are not all going to live in stone castles – that is not what I’m speaking of. I’m speaking of the spirit, the honor, the respect that is a part of the legacy of Camelot. Avalon is all about the Kingdoms being so connected that what is felt by a bird flying high is felt by the human on the ground, and communications are open, much as the telepathy of which Ashtar was speaking, but add some energy of feeling to that, and that’s your connection! “Now, you are in the midst of huge transformations. You are literally bringing the magic, if you will, or shall we say the miracles of the Higher Dimensions to meet not only yourselves, but the World! How you are doing that is by lifting up to access them. “So when I speak of transformations, I really speak of progress upon the path of Ascension! And yet, to those who are human – and it is observed by all of the other kingdoms – but to those who are human, it seems as though the World is transforming. Yes, there is plenty out there that needs to be transformed yet! “But I am here to tell you that you are as powerful as I, the Merlin, to make these transformations!!! You can think of your hands as the magic wands, if you want to. You can empower a crystal if you choose to, but it is your Heart that provides the energy, the power, for these transformations. That is all you need! “It is for you to open your Hearts and call in the Love energies -that is your fuel, if you will, with your Heart being the power, the engine, or the magic wand, or the spell if you want to think of it in those terms. Cast a spell upon the World, a Divine spell, the spell of the God/Goddess within! Allow the magic of your Divinity to flow outward from you – share it!!! Bring about whatever transformations or transmutations you see to bring about from that place of Love. That is the true way to accomplish whatever it is that you want to accomplish! “Do you think that I am the only being in the Universe who has the ability to shape shift into the dragonfly? And why did I choose the dragonfly? Because the dragonfly is dragon power, but free to fly. Think of yourselves as dragonflies empowered with great Hearts of Love, and free from all that you choose to not be a part of! When you share your Love/Light think of yourselves as flying over and just beaming your wondrous Love to whatever it is that you see that needs to be transformed and transmuted. “Remember, you can fly above it – you do not have to be in it! You do not have to be allowing yourselves to be lowered into it. It is simply that you fly above it, you observe it, you send your Love/Light to it – that great, great energy from your Hearts! That, my most wondrous Family, is how you accomplish any transformation, any transmutation that you choose to do. You do not need chemicals, as the alchemist uses, you simply need your Hearts. You need to bring in all of the Love and then cast it upon whatever subject you are perceiving. “If you will remember to fly above rather than to allow yourselves to get mired down in it, you will be able to transform any situation that you choose!!! Sending Love to people now, telepathically, is very powerful. It is very effective, and that is the way to transform what might be coming from someone else’s Heart or mind. You can positively melt it down and then out of whatever it is, just as the alchemist does! You can recreate it into a form, or a communication, or an energy that is of High Love, instead of however it started out. You have heard the expression – and yes I know how to do it, to transform base metals into gold – we’re talking about changing base thoughts, words and deeds into golden Love/Light. “Be the alchemist, be the transformers, the transmuters, be the ones who make the changes from High rather than from the perspective of, shall we say, the victims!!! You will give hope to the victims, that they too can enjoy the higher lifestyles, while at the same time you can keep yourselves flying high because you will not be getting down and stuck in the lower illusions which present themselves as your only reality. “You are all magic, and you all have great magical capabilities, so come fly with me! I hold out my arms to you and I say, let’s fly together and be the magic and be the creators of all of the magic that we see to bring to the World and the Universe beyond!!! © Ashtar On The Road Publications 2004-2014. All rights reserved; however, this is a gift to all of us and it may be distributed freely on condition that all accreditation is acknowledged and that no part is altered or deleted.